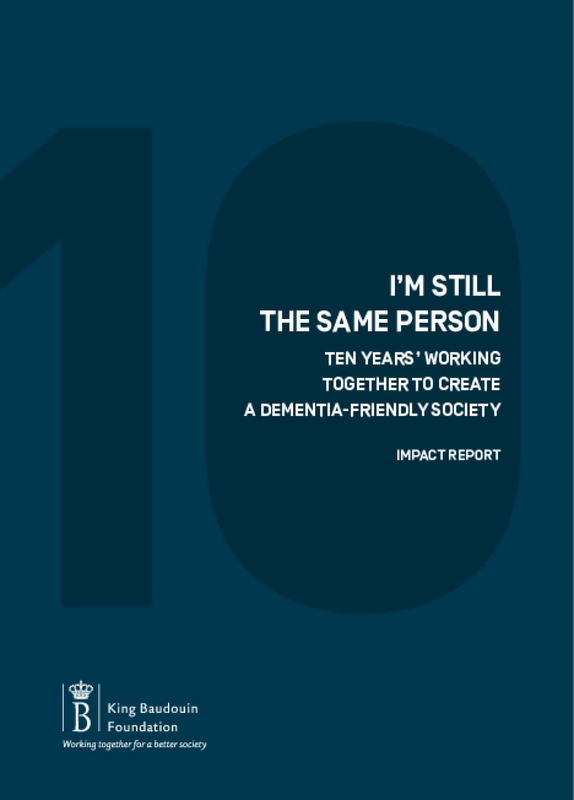 This impact report illustrates ten years of the King Baudouin Foundation's activities in support of a 'dementia-friendly society', by putting the accent on key messages and a number of projects and initiatives: why they were set up, what was involved, who were the actors concerned and what their impact was. 25 experts in Belgium have also been contacted in the framework of this report to discuss what the big challenges are regarding dementia and quality of life. What role can the King Baudouin Foundation and other European foundations (continue to) play? Has Anyone Ever Died of Old Age? Copyright 2018 by King Baudouin Foundation. All rights reserved.